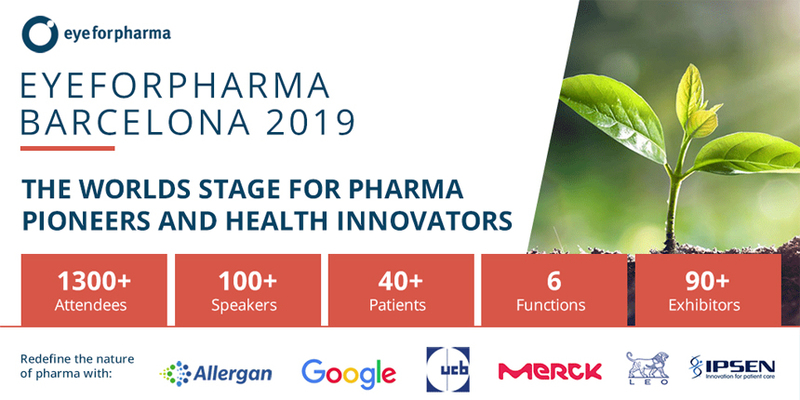 MORION company is excited to announce that we will be partnering with Eyeforpharma’s 17th annual Barcelona meeting (March 12–14 2019)! This is the world’s biggest commercial pharma meeting and your opportunity to join 1300+ pharma leaders focused in Sales, Marketing, Patient Engagement, Market Access, Medical Affairs and Real-World Evidence. MORION would like to invite our subscribers to attend this event and extend to you our unique company discount. Just use the code WP200 to save €200 when you register online here! We feel that this conference and the topics that will be discussed are well aligned with the challenges you are looking to address with your business and the discussions we are having together. We are hopeful you can leverage this opportunity. For more information about the event, you can find the full event website: www.eyeforpharma.com/barcelona/. If you have any questions about the Eyeforpharma Barcelona event feel free to e-mail back with your comments to Giselle Quartin, the Head, International Eyeforpharma on gquartin@eyeforpharma.com.